My rescue dog Buddy is well known in our neighborhood. Taking him on walks can take awhile. He is a bit of a narcissist and insists on stopping to visit with everyone along the way so they can pet him and tell him how adorable he is. I spoil him with a treat every time we come back from our walks after he does his business outside. My husband says that Buddy has me well-trained. We are empty-nesters now. 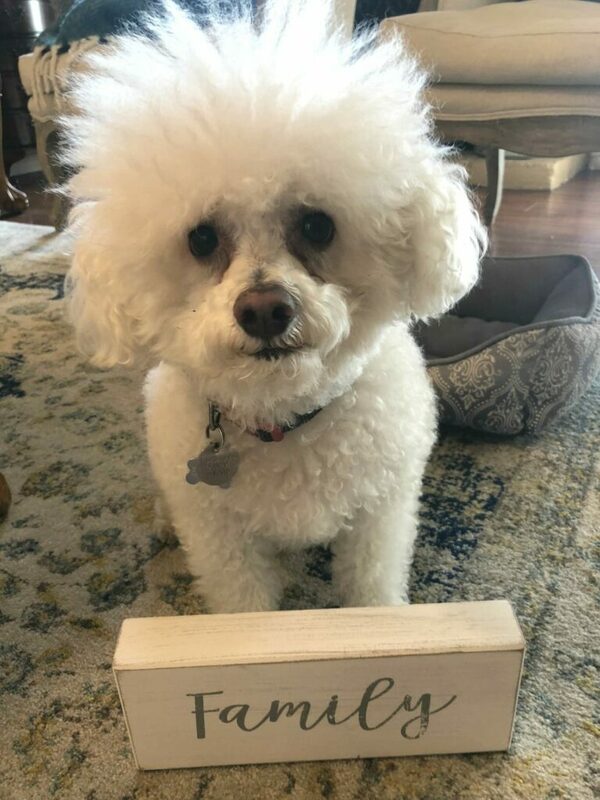 My regular readers and friends know that both of our kids got married last year and Buddy brings joy and laughter to our quiet home. When we adopted Buddy, he had a wounded leg from being hit by a car. Sadly, his last owner could not afford the vet bills. The rescue organization took him in and got him the care he needed. Now we are the grateful recipients of his love and devotion. I think we all know that we have met a need for each other. Instead of bringing home things for kids, I now shop for Buddy and love to spoil him with toys, treats, and the occasional outfit. This is one of my favorite photos. 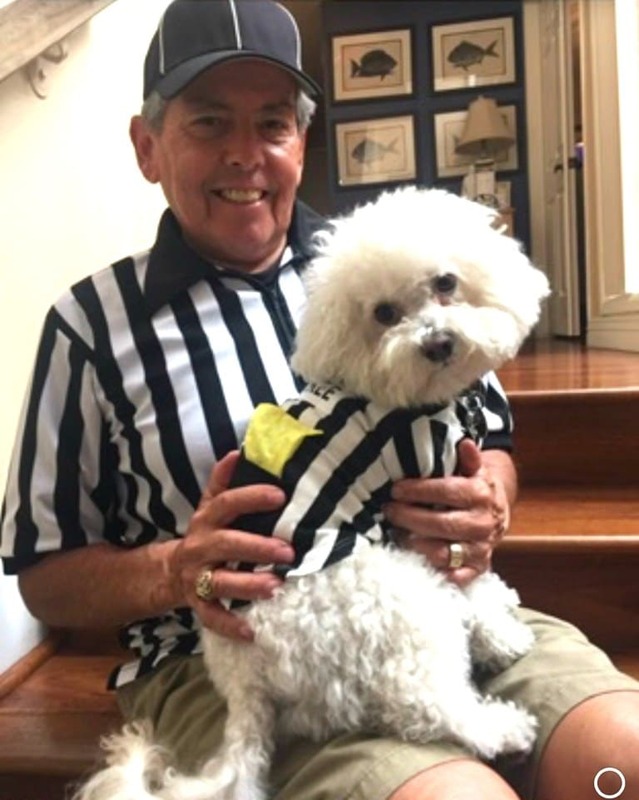 My husband is a football official and well, these two adore each other. I’m a Walmart shopper and have been for many years. You just can’t beat their prices. 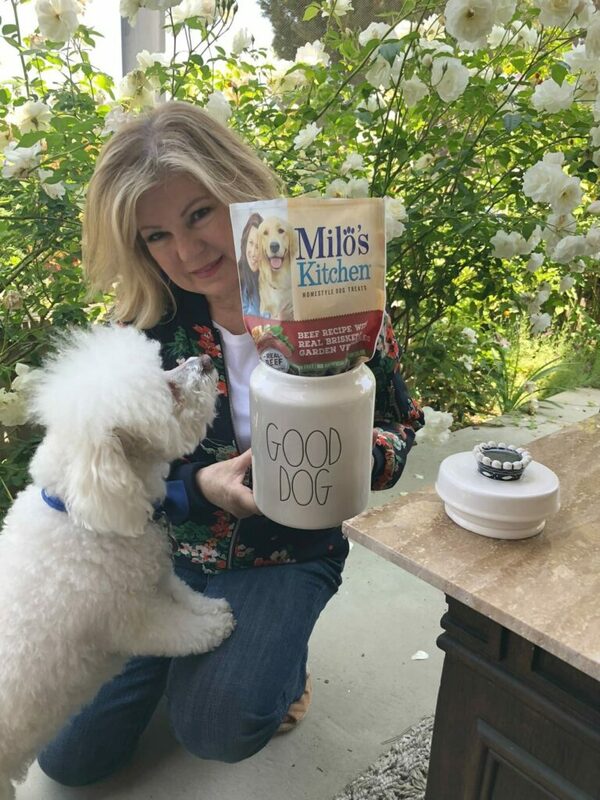 On a recent trip, I brought home these homestyle dog treats from Milo’s Kitchen. These treats are made with 100% real beef, chicken or duck as the #1 ingredient, so they are both pet and pet mom approved. 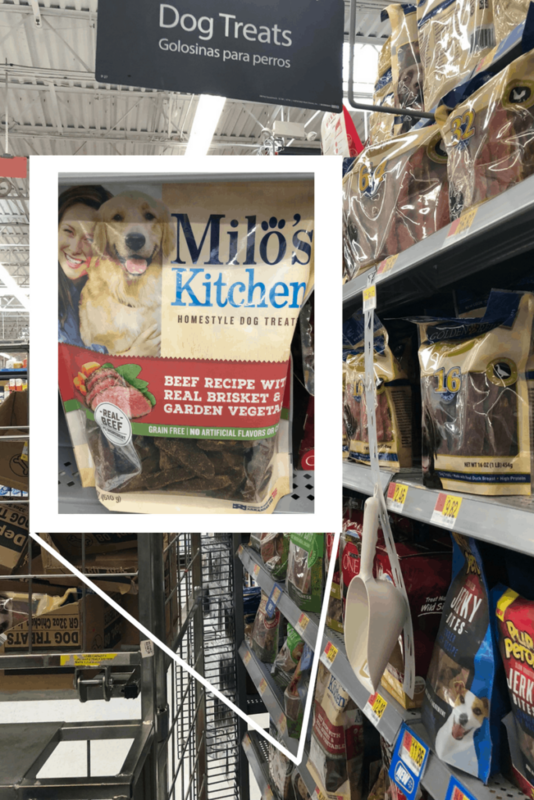 Milo’s Kitchen® Homestyle Dog Treats are produced here in either Spanish Fork, Utah or Siloam Springs, Arkansas and are made totally free of artificial flavors or colors. This is important to me. Our pets deserve treats made with the same quality of ingredients and care that we want for our food. They are tender and are easy to tear into smaller pieces if you want to use them for training. Walmart prices make spoiling your pets affordable. 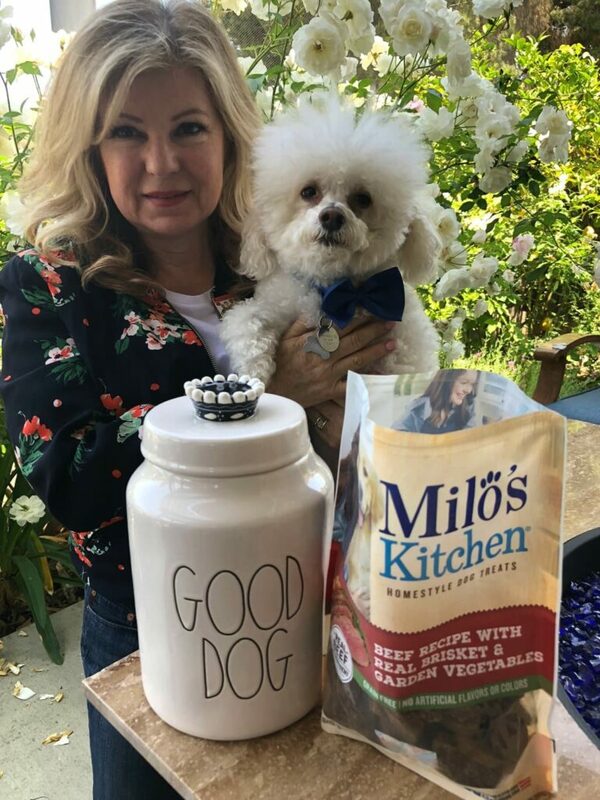 On your next visit, stop by the pet section and pick up a bag or two of Milo’s Kitchen® Homestyle Dog Treats for your furry family member to celebrate the joy that our dogs bring to us. Buddy loves both the Chicken and Beef Treats. How do you like to spoil your pets?